Made in England, c. 1710. Womens pair of straight laced shoes of rand construction with visible stitching and upcurved blunt pointed over needlepoint toe and covered Louis heel. 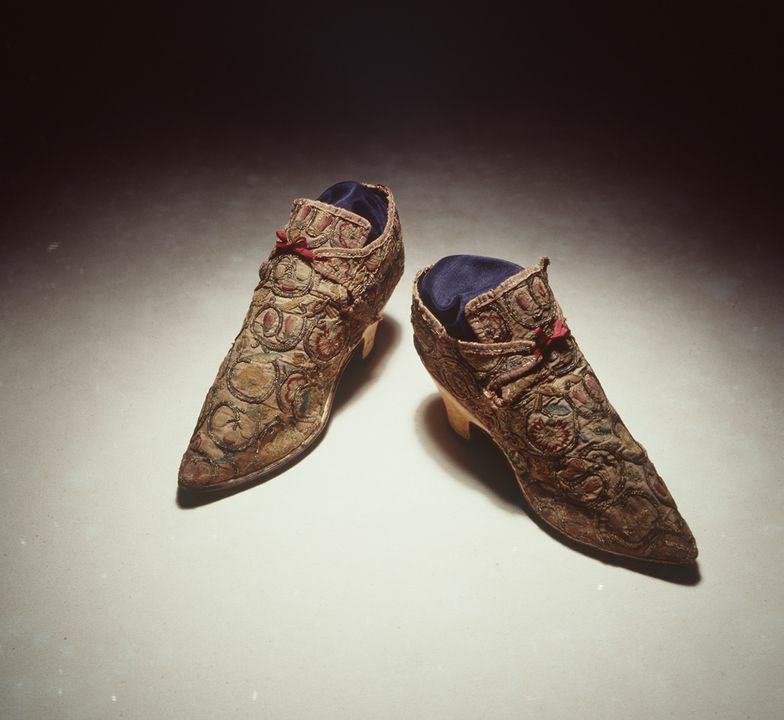 Uppers consist of embroidered linen, lined with silk and leather, featuring a high cut vamp with square tongue, under latchets tieing in centre front, oblique side seams, centre back seam and leather soles. Edges bound in pink silk and uppers decorated with silver scrolls and silk flowers embroidered in the centres. Shoes appear to have been remade from an earlier fabric.